Stack them, string them, count them and even use them as wheels! 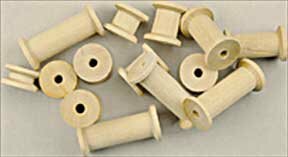 Smooth wood spools in assorted sizes, 1/2" - 2" long. 72/pkg.